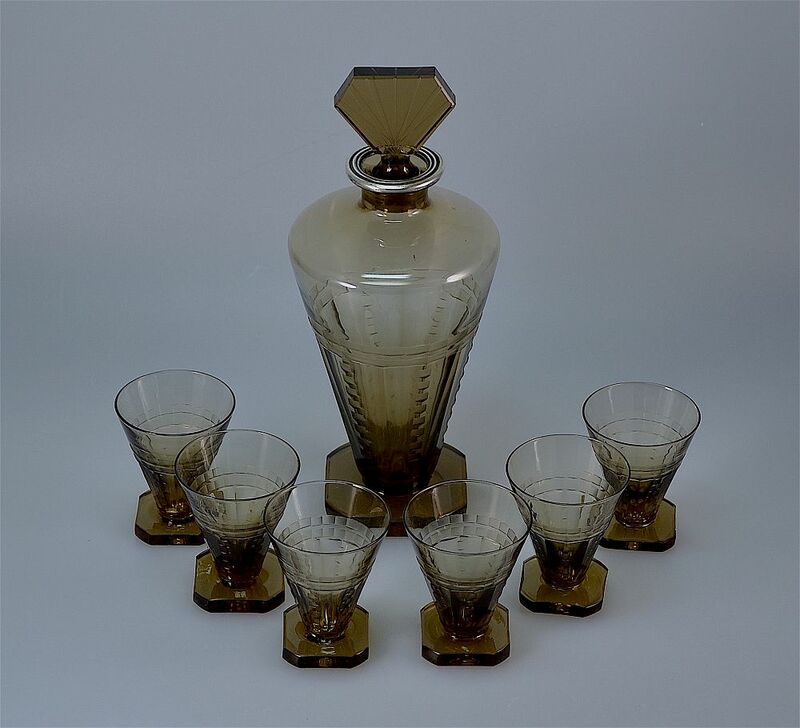 This fantastic Art Deco set comprises a decanter and 6 cocktail or liqueur glasses in a smokey quartz colour. The decanter has a square foot with lopped corners leading to a conical body the lower half of which has 12 sides embelished with incised concave oblongs. The top of the decanter has a ridged silver metal top that has a rubbed and indistinct mark. The stopper is fan shaped with lopped corners and has 7 incised lines radiating from the base of the stopper to the top. The glasses are the same shape and design as the decanter. Very decorative and very useful.